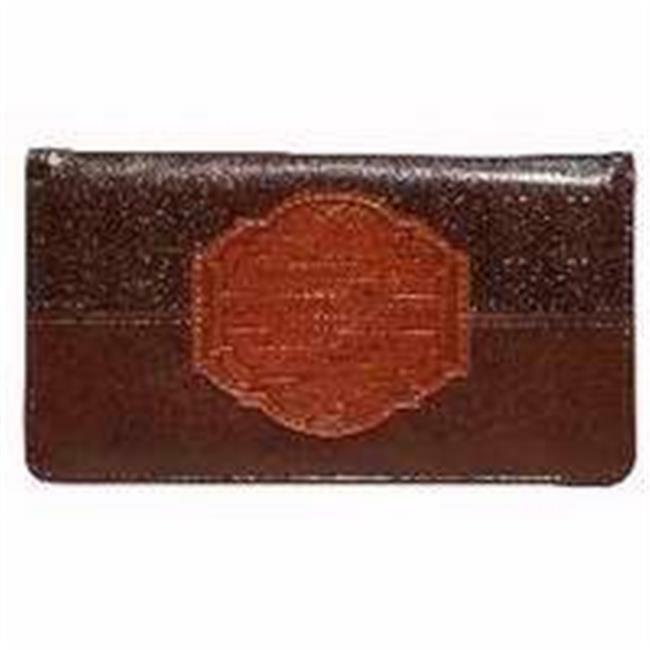 Contemporary checkbook cover in two-tone brown with debossed design and Scripture verse; "For I know the plans I have for you, " declares the Lord, "plans to prosper you and not to harm you, plans to give you hope and a future." Jeremiah 29:11. Faux leather featuring interior slip pocket, 3 card slots, ID window, elastic pen loop, and plastic divider for duplicate checks. 6.75" x 3.75", 6.75 x 3.75 in.